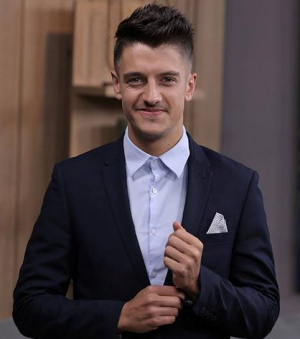 Danilo Acquisto (born 27 January 1992) is a South African television presenter, radio host, businessman and lawyer. He studied a BA Law degree at the University of Cape Town and graduated in 2012 with a BA degree in Law and Sociology. He presented the SABC 2 youth programming block, Hectic Nine-9, and occasionally served as a producer on that show. Danilo Acquisto co-hosts SABC 3's Afternoon Express with Jeannie D and Bonnie Mbuli and he host a show on Good Hope FM. This page was last edited on 10 November 2018, at 19:54.